Learn to use the Deb Tucker ruler for Hunter Star. This technique streamlines the block formation. The quilt directions are included in your ruler purchase. You choose two, three or four fabrics and a variety of layouts. 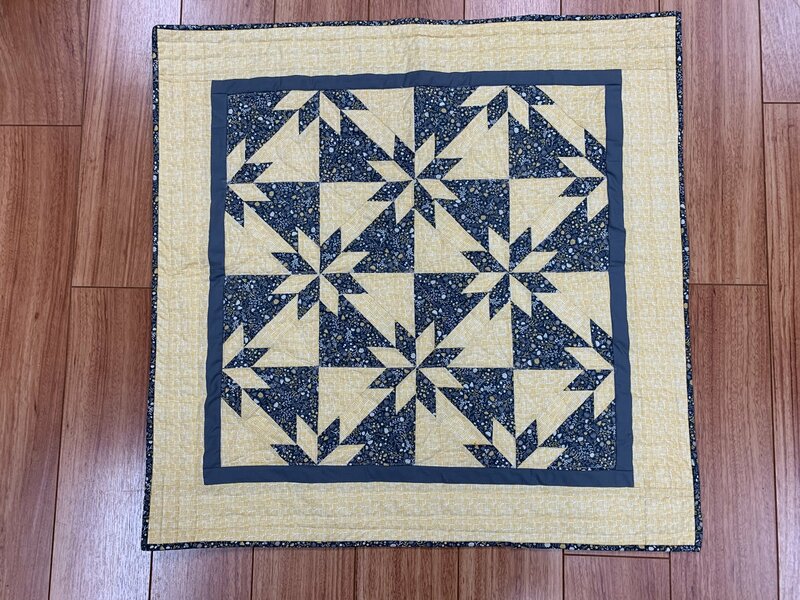 Once you learn this technique you can use your creativity to make any size of quilt with multiple fabric combinations. Class project can be wall hanging, table topper or baby quilt. Join me it’s fun to develop this skill.